It’s no big deal! Really. After all, it’s 2018. So isn’t it time that we end the stigma related to wearing hearing aids and hearing loss? Since inclusion has become pervasive in today’s society, why not let go of any negative images of hearing loss? Here at HearingLife we know that people of any age can have hearing loss and that wearing hearing aids is a smart solution to a challenge. Let’s all let go of any negative associations to hearing loss. Some people equate wearing hearing aids with old age, but it simply isn’t true. Plenty of young people have hearing loss and use hearing aids or implants. The National Institute on Deafness and Other Communication Disorders (NIDCD) reports that 2-3 out of every 1,000 children in the United States are born with some hearing loss1. Schools across the country, from pre-school through high school, make accommodations to “mainstream” students with hearing loss, and several colleges offer programs specifically for students with hearing loss. Even though many younger people have it, hearing loss continues to be thought of as something only old people experience. It isn’t. Nor is it anything to be embarrassed about. Yet, recent research shows that stigma remains an issue. 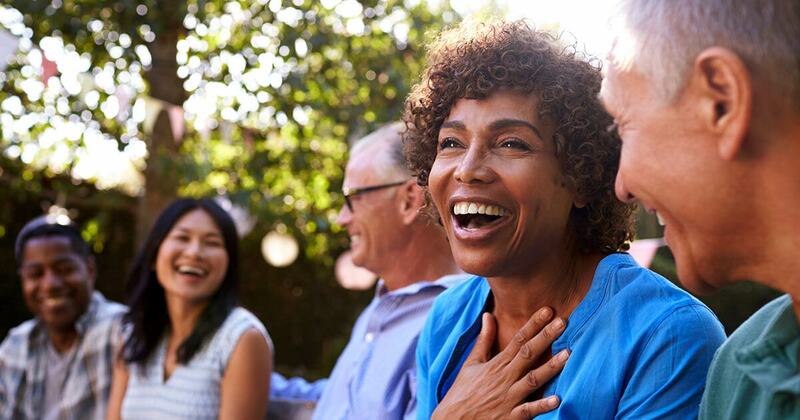 In 2010, The Gerontologist conducted research focused on stigma and hearing loss, and how these may impact an individual’s decision to wear hearing aids. The researchers found that perceived stigma did make a difference in whether people with hearing loss accepted hearing aids and how well they adapted to them.2 People in the study expressed concerns about being seen as old, or worried that people may stare at them if they were wearing hearing aids. But this isn’t new. The study noted that the concept of stigma dates back to the ancient Greeks, and that people labeled stigma to alterations in self-perception, ageism and vanity. According to the Centers for Disease Control and Prevention, Americans have improved their view of people with disabilities3, especially since 1990, when the Americans with Disabilities Act became law. People’s viewpoints have changed. But assistive technologies, such as hearing aids, play an integral role in helping people with challenges integrate fully into society. Getting to know people with hearing loss, seeing how well they manage with hearing aids at home, work and in the community, helps break down any residual stigma. You can’t see if someone has hearing loss, so sometimes it’s hard to tell if they struggle to hear you. A hearing aid may be the only clue. Hearing aid manufactures understand that aesthetics count. Sometimes hearing aids are so well-hidden that they’re even invisible. Others have a sleek design, available in many colors, including a variety of skin-tones. Some people choose to flaunt the latest in hearing aids designs and pick bolder colors, like blues or pinks. And why not? We think that hearing aids are nothing to hide! We agree that all of these things can help the public understand hearing loss and improve their own well-being. Want more information on ending stigmas, accepting hearing loss and finding the best options for you? Whether you are a “newbie” to hearing loss or have been facing hearing loss for decades, we can help you choose the best solution for your individual needs. We understand that first-time wearers may go through a process to get used to hearing aids, and our experienced team know how to help acclimate you to wearing your new devices. Want to learn more? Make a no-obligation appointment. Should you need hearing aids, we will help you find the right design for your ears. We can also check if you have hearing aid insurance benefits. Call (844) 836-5003 to book time with us.